An OSIRIS narrow-angle camera image taken on 2 September 2016 from a distance of 2.7 km in which Philae was definitively identified. 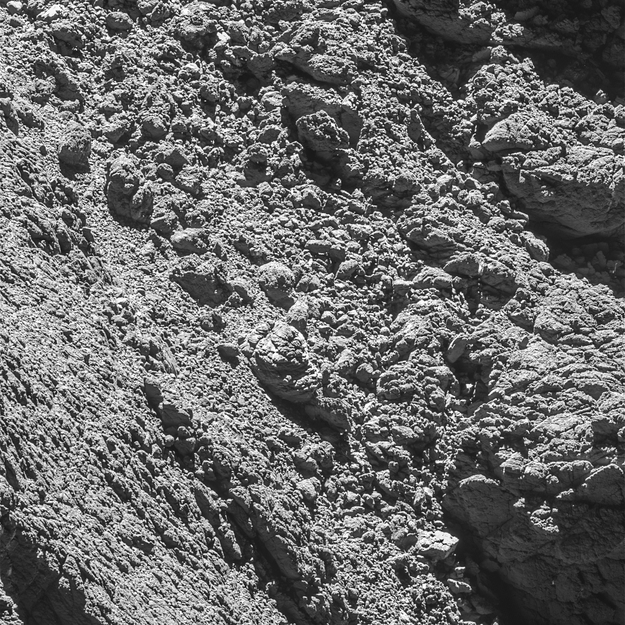 The image has been processed to adjust the dynamic range in order to see Philae while maintaining the details of the comet's surface. Philae is located at the far right of the image, just above centre. The image scale is about 5 cm/pixel.